Finally, I have a finished piece of work this week. I started quite a few different pieces and have been working on all of them.. letting some dry… letting some sit, while I think of what to do next, etc. etc. This digital piece, I’ve been working on for the past three days, whenever I had a few spare minutes. It was inspired by the MMO games that I play, because I like to play spell casters. 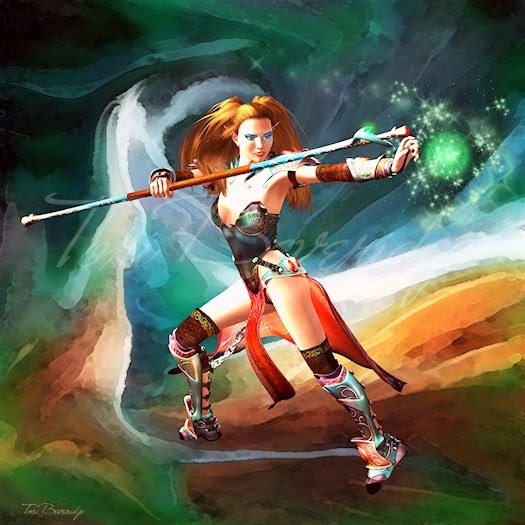 Elves and mages… love them! 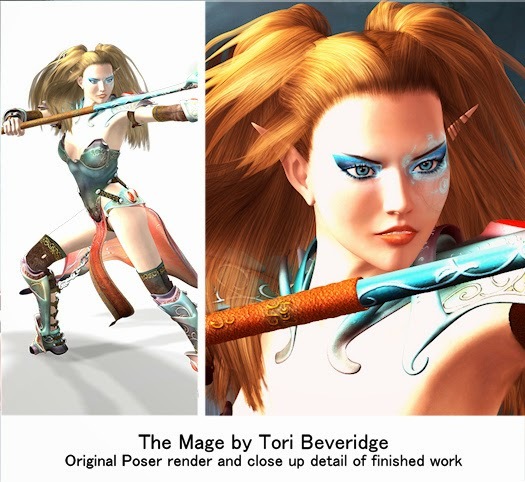 I worked in Poser 7, Paint Shop Pro and Photoshop. My original render took awhile to set up and render and then of course, it had to be fixed. I like the original render, but if you look closely at it, (difficult this small because it is a very pale render) you can see all the little things that had to be fixed.. the hole in the leggings, the long hair growing out of her arm pit and arm, the lack of hair above her right ear, etc, etc. Then I had to add a background and make light and color adjustments. I love how full of movement this is, and how vibrant she has become. I’m very happy with the way this turned out. Posted in Creative Every Day and tagged digital art, elf, fantasy art, mage.